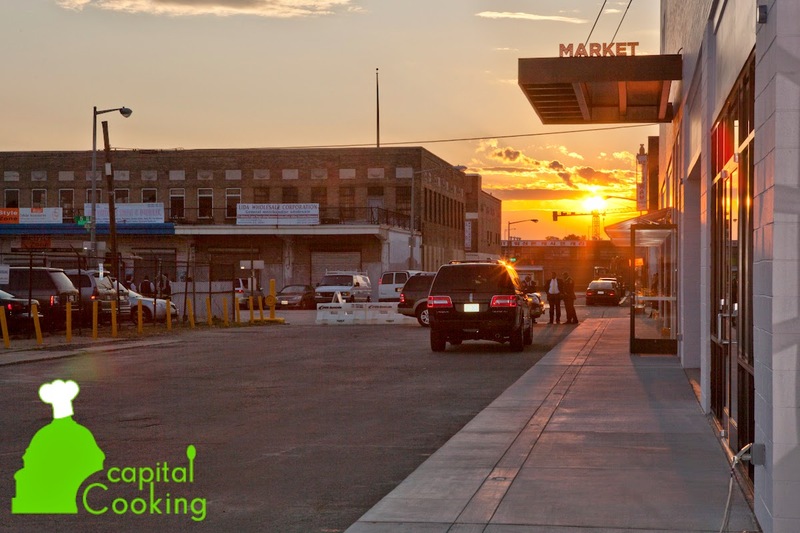 On June 16th, Dock 5 at Union Market will host 24 of Washington's most creative and celebrated chefs, all of whom will cook table-side for groups of ten guests at the annual Chefs in the City event to benefit the Washington, D.C. Chapter of the Cystic Fibrosis Foundation. This year's theme is “Vibrant Flavors,” which will transform the new warehouse event space atop Union Market and feature menus showcasing the most vibrant flavors from around the world. Among the Union Market vendors who have already signed on to participate, both Chef Ris Lacoste of Ris and Chef Erik Bruner-Yang of Toki Underground, and some of the area's best-known celebrity chefs from years past are returning yet again, such as Chef Michel Richard of Central and Roberto Donna of Al Dente and Alba Osteria. Also, the annual event will welcome some of Washington's hottest new chefs to the mix, including Chef Tim Ma of Maple Ave Restaurant and Water & Wall. 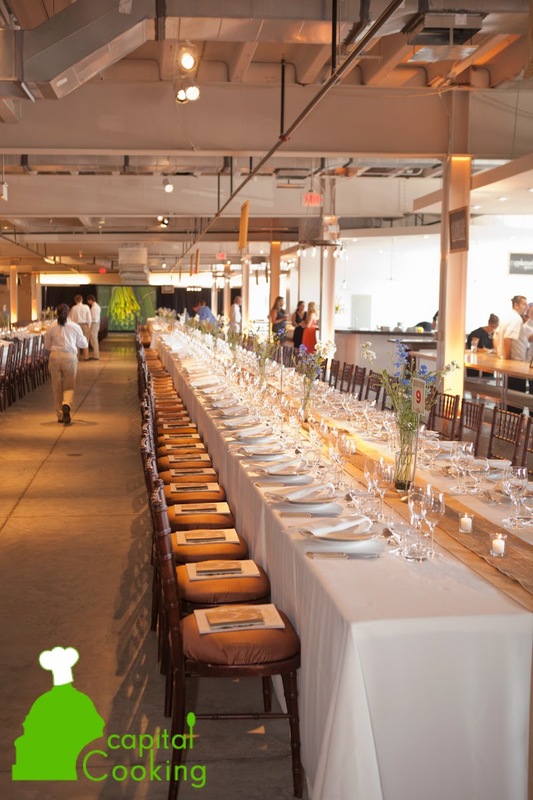 Dock 5’s blank canvas will be transformed to hold one of the top foodie events of the season. As always, tables and chefs will be paired through a suspenseful random drawing during cocktail hour (except for the lucky Title and/or Presidential Palate Sponsor, who gets the honor of choosing their chef). Each table will feature an impressive menu and décor brought to life by its chef, as well as complimentary wine paired with each of the five courses. Before the five-course feast, guests will enjoy “A Smashing Good Time” at our cocktail hour featuring all things muddled. Drinks like the Old Fashioned, the Caipirinha and the Mojito will be highlighted. This year’s mixology masters will show you when to be gentle and when to throw your weight around behind the bar. While sipping on muddled masterpieces, or beer from our Beer Sponsor, Radeberger Gruppe USA, guests will enjoy the opportunity to bid on exciting silent and live auction items, including travel, food and wine related items and experiences, and more. Guests can try their luck at the “Wall of Wine,” purchasing the chance to pull at random from a range of every day bottles to true gems. 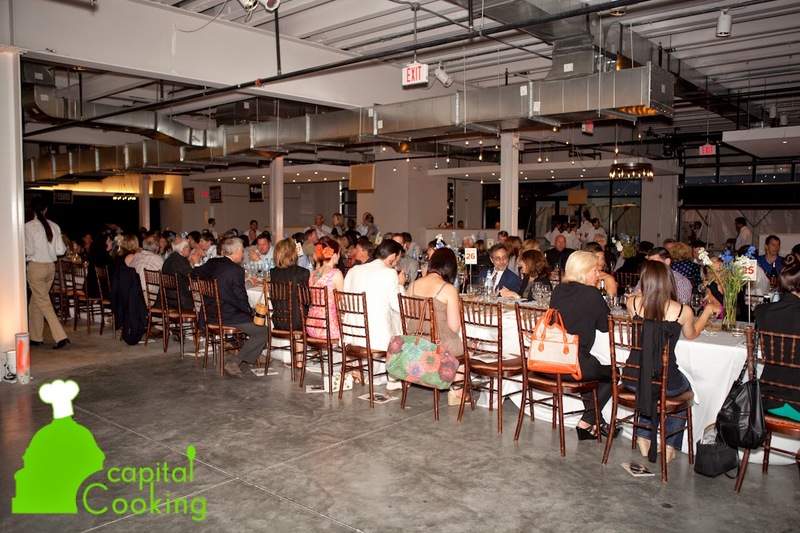 The Metropolitan Washington, D.C. Chapter of the Cystic Fibrosis Foundation looks forward to raising funds to help find a cure for cystic fibrosis at their favorite foodie event, Chefs in the City. More information can be found at: http://MetroDC.cff.org/ChefsInTheCity. Cystic fibrosis is a life-threatening genetic disease that affects the lungs and digestive systems of 30,000 children and adults in the U.S. More than 10 million Americans are symptomless carriers of the CF gene. The Cystic Fibrosis Foundation is the world’s leader in the search for a cure for cystic fibrosis. The Foundation funds more CF research than any other organization, and nearly every CF drug available today was made possible because of Foundation support. Based in Bethesda, Md., the Foundation also supports and accredits a national care center network that has been recognized by the National Institutes of Health as a model of care for a chronic disease. The CF Foundation is a donor-supported nonprofit organization. For more information, please go to www.cff.org.